Energy Secretary Alfonso G. Cusi announced that some 180 establishments and energy stakeholders will be recipients of the prestigious Don Emilio Abello Energy Efficiency Awards (DEAEEA) on 12 December 2016 at the Passion Restaurant, Maxims Hotel in Pasay City. On its 34th year now, the DEAEEA is an annual event that recognizes the private sectors’ efforts to promote and implement energy conservation programs, which is one of the many activities of the Department of Energy’s (DOE) celebration of its National Energy Consciousness Month this December. Various establishments from the industrial, transport and commercial building sectors will be awarded during the annual event. For aspiring candidates for the DEAEEA, Sec. Cusi clarified that "Companies are required to submit their energy consumption reports which will be subsequently deliberated by the DEAEEA Technical Evaluation Committee." The DEAEEA Technical Evaluation Committee with representations from the DOE, Philippine National Oil Company, National Power Corporation, Manila Electric Company (MERALCO), Petron Corporation, Chevron Philippines Incorporated, Pilipinas Shell Petroleum Corporation, Energy Efficiency Practitioners Association of the Philippines, Philippine Energy Conservation Center Incorporated and Energy Development and Utilization Foundation Incorporated rigorously evaluates the energy consumption reports of the recipients of the DEAEEA following a set of guidelines and criteria. This year a total of 53 establishments will receive the Outstanding Awards, 53 Outstanding Energy Manager Awards, 8 Hall of Fame awards, seven Citation Awards and 20 Special Awards. The DEAEEA awards started with ten Outstanding Awards and ten Special Awards. The number of awardees started to increase in numbers starting in 2003 with 17 Outstanding Awards and seven Special Awards. Don Emilio Abello was the Father of the Energy Conservation Movement in the Philippines which he initiated in 1973 in the middle of the oil crises caused by the OPEC oil embargo and the overnight increase in oil prices when he was then the Chairman and Chief Executive Officer of MERALCO. Enercon, then, became a national byword, an integral part of the academic curriculum, a performance guideline in commercial, industrial and transport enterprises and for every Filipino, a new life style and a new ethic. After Abello’s death in 1982, the Enercon Movement named its annual recognition program after him, thus the Don Emilio Abello Energy Conservation Awards. 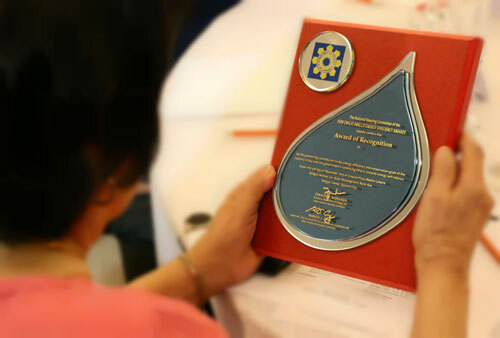 It was renamed to Don Emilio Abello Energy Efficiency Awards in July 1997 to align with the country’s shifting the industry to more energy conserving technologies and addressing the issue of environmental preservation. "The 2016 Don Emilio Abello Energy Efficiency Awards aims to encourage various establishments to reduce their energy consumption without sacrificing their business productivity," Sec Cusi concluded.